Can you imagine a healing methodology that uses a lamp with a 60 or so watt bulb and several different color gels that are effective and can be applied by anyone, and was used for two decades by American MDs? Seems far fetched to many, even New Age woo-woo perhaps. But it exists now only as an inexpensive do-it-yourself in-home process. Spectro-Chrome Light Therapy was proving to be a medical miracle as an extremely successful non-invasive, non-toxic remedy for rapidly resolving many medical maladies. Then the AMA and FDA combined their forces in the late 1940s to crush it. 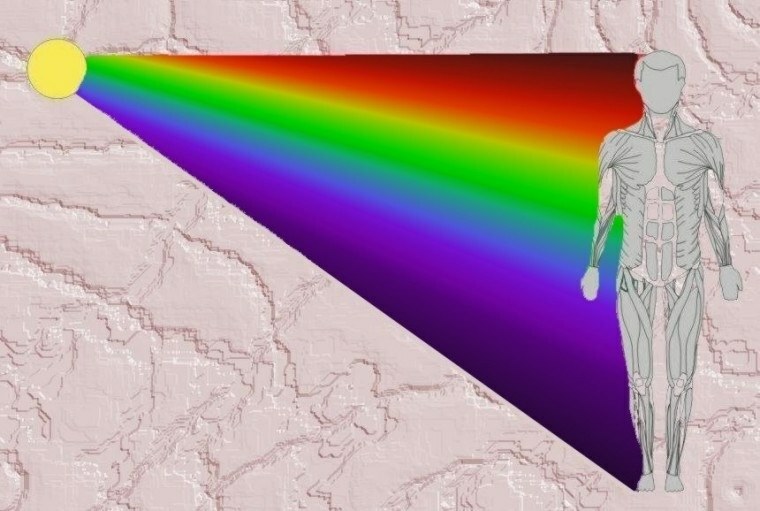 Of course, to this day many would reject the notion of colored light applications to appropriate body parts as effectively healing anything, a placebo at best. The science behind this mostly-unknown therapy originated in the 1870s from two 19th century doctors, Dr. Edwin D. Babbitt and Dr. Seth Pancoast, based on Civil War general Augustus Pleasanton’s observations and writings. They were the original Spectro-Chrome researchers and healers whose interest in metaphysics motivated their investigations into colored light therapy. But it wasn’t until almost the end of the 19th century when an Indian physician, scientist, engineer, civil reformer, editor, scholar, metaphysician, and inventor, Dinshah P. Ghadiali, was forced to apply what he knew of Babbitt and Pancoast’s work that Spectro-Chrome therapy was fully developed and thoroughly codified. I recall seeing this before, but then forgetting about it. Appreciate the update with the slides link. Sadly, the other link, http://www.dinshahhealth.org/ , just comes up as a white page.